At the PMGI Career Service Centre (CSC), we work with organisations to provide opportunities for individuals trained in Project Management, Business Analysis, Agile and related fields. This website provides a Job Hub where employers may post job opportunities and job seekers apply. The PMCI Career Service Centre is a division of the Project Management Global Institute (PMGI). How Does the Online Project Management Job Portal Works? Register for Free – Registration is absolutely free, there are no hidden charges. Select a Free or Paid Subscription Plan – Plans include fully featured free and paid plans. Post Unlimited Jobs – You can post as many jobs as you would like during your subscription period. Get Job Applications – Get job applications sent to your email or candidates can also be redirected to apply directly from your own job website. 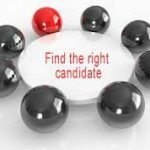 Browse Resumes – Find a candidate by searching resumes by category or location. Register for Free – Registration is absolutely free, there are no hidden charges and you do not have to be a PMGI student to register. All persons must register to apply for jobs and to access the features of this site. Registration is quick and simple. Apply for Jobs – Browse and apply for jobs for free. Post Your Resumes – Customise and post multiple resumes for free. Manage Your Resumes – Update and delete resumes for free. Get Job Alerts – Get job alerts based on your preferences for free. Get Your Resume On Top – Get your resume featured and seen by top employers when you upgrade to a Premium access. Practical career building workshops dealing with resume writing and interview skills. Contact us if you are a PMGI student and is interested in our career services.